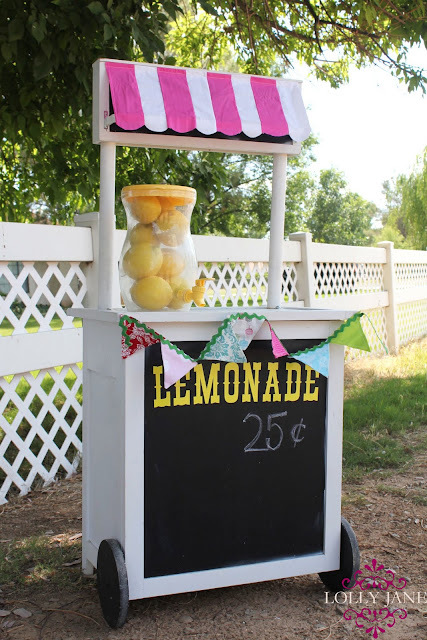 When we think of summer fun, it always includes sweet lemonade so we thought we would spruce up the lemonade stand we found at a yard sale for a whoppin’ $4. Loving our lemonade stand, a quick redo! Oh, and because my original idea was to put the lemonade lettering on the top part of the stand, I now have an extra… that we’re giving away to one lucky winner! And of course I like you on FB! Have a great weekend! I would love this!! It's beautiful! Too cute! Love the font. I almost DIED when I saw this! AWESOME! 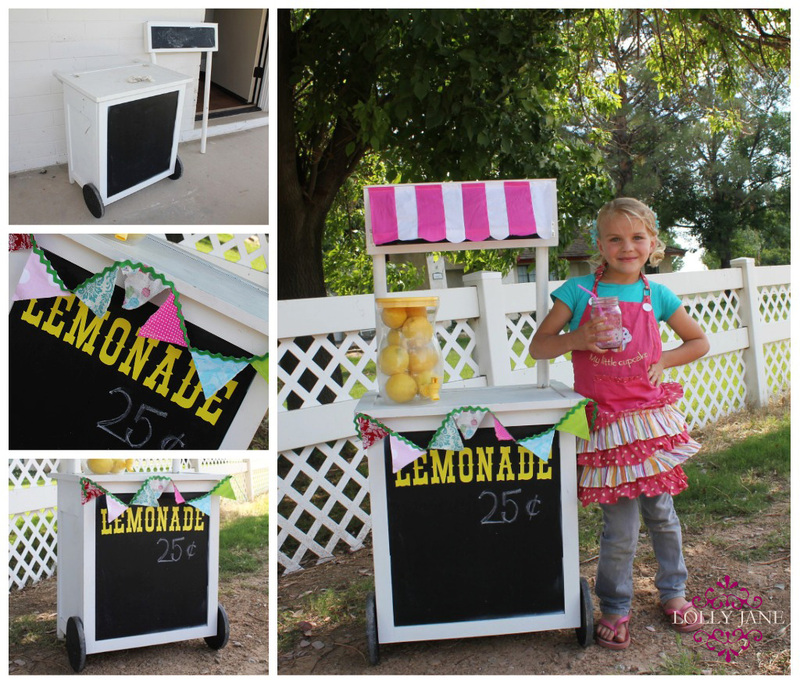 Funny thing is that I also thought about a lemonade stand or lemonade theme party for this week also! YOU did fantastic and of course, I voted! Cute!! I love it! 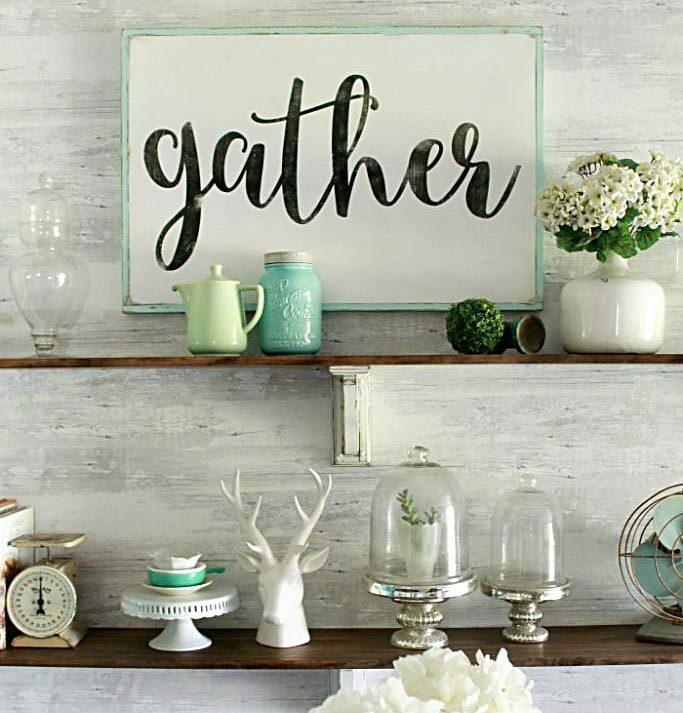 Makes me want to open a lemonade stand– even though I'm 26! I had to vote for that … it's so stinkin' cute. I can't believe you found it for so cheap … and your improvements are perfect! Definitely my favorite out of the bunch! But dang you…I have been craving a freshly squeezed glass of lemonade ALL FREAKING DAY. You'd better email me your address and tell me when you're selling for real so I can quench my craving! I will drive ALLLLL the way to Arizona. And I love your lettering! I would LOOOVE to win it! I totally voted for you, too. This is just the cutest thing ever!!!! Love how you girls fixed it all up nice and cute! You know people are going to stop to by lemonade and maybe ask to by the lemonade stand too! I voted for you! Super cute! Only $4? what a great find!! I love garage sales!! How adorable! Love the lemonade stand 😉 sweet. Okay girls! You're KILLIN' me!! This is too cute! I always love to come over to the other blogs and see who voted for you. I must admit, I get a little offended that some of MY followers voted for you! haha!! I seriously LOVE this soooo stinkin' much! Great job! You're through to the next round for sure!! xoxo!! Is this for canadian residents too? I follow you! Seriously what kid wouldn't want to have this lemonade stand?! And for $4? That is amazing! I like u on fb and am following. This is like a lemonade stand on steroids! I absolutely love it! I met your blog today, and I loved! I am very inspired now, thanks! This rocks! Thanks for linking up to the Throwback Thursday party. I love the Lemonade Stand!! So Cute! Oh my gosh! That is SO cute!! LOVE it! What an awesome find. This is so adorable! I love how you spruced it up! OMG!!! sooo cute…….do you know where to purchase a stand??? I also liked you on FB!!! I love your lemonade stand! So cute and I love the colors… The durability and the wheels! It’s what my daughter would like for her bday this March 18. It’s all she’s talking about. Great job! I love your lemonade stand! Especially the font! Do you know what it’s called? Or do you remember where you found the letters? Thank you! Hi Cheryl! I can’t recall exactly which font now but Rio Grande is pretty similar, I think from DaFont.com (: Thanks! Please please please tell me where you got the vinyl lettering!! We own a vinyl business and cut it long ago 🙂 I can’t recall exactly which font now but Rio Grande is pretty similar, I think from DaFont.com. Such a small, splendid craft, great job you two ! Thanks for sharing this ! Wow! This looks like a lot of fun! !